Everybody I know loves to bring home the spoils of a great sale, if only to brag about how much they saved on their score. And with the holidays quickly approaching, the sales are really ramping up. 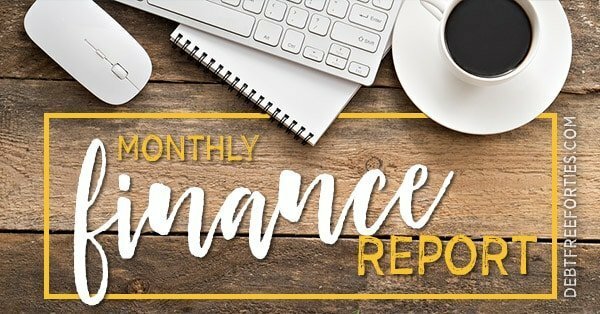 So now is the time to double down on those bragging rights and start using cash back apps to sweeten the savings! There are a ton of cash back and rebate sites out there. Sifting through them to find the best cash back apps is time consuming at best. Luckily, I’ve taken the time to pull together a comprehensive list of the absolute best. Cash back apps have a list of items that they provide cash back on. Then, once you purchase them, you scan the receipt and depending on the app, the barcode of the product. Your earned cashback sits in an account until you hit a certain thershold (generally $20), and then you can request for the account to be paid out via Paypal, check, or directly to your bank account. Examples of cash back apps are: Ibotta, Fetch Rewards, Shopkick, or Receipt Hog. Rebate websites involve clicking through that website to the retailer you want to buy from. Not only do these sites offer cash back, but they often have some great coupons to help stack your savings. Sites like Ebates pay out quarterly, no matter how much is in your account. Examples of rebate sites are: Ebates, Topcashback. Whether it’s an app or a site, it’s really easy to submit your receipts or click through a link and claim your money. Once you get into the habit of looking at these spots for savings first, you’ll not only save cash but your time as well. Next, I’ll cover which apps work best for shopping, groceries, gas, and other items. Ebates is easily one of my top cash back apps to save money when I shop online. They have cash back for over 2500 stores online, and they’ve recently added cash back in stores as well! As an added bonus, Ebates offer coupons that you can’t get elsewhere. Ebates also gives double cash back offers that rotate through various stores as well, so your chances of finding additional savings are great. Ebates offers payouts via Paypal or check, and pays out quarterly. Cash back categories include vacation and travel, health and beauty, electronics, clothing, accessories, gifts, flowers, baby, home, office, auto, and much, much more. TopCashBack is a direct competitor to Ebates and is giving them a run for their money. You can get cash back at over 4,000 retailers and they have 17 different payout options! If you choose to take your payout via a gift card, some of the gift cards offer additional bonuses up to 5%. TopCashback also offers cash back guarantee. They’ll match other cash back site amounts (with a few terms and conditions). They also offer coupons and promotions, and sign up bonuses as well. Once your earnings clear, you can request a payout at any time, for any amount. TopCashBack offers savings in travel, home and garden, electronics, fashion, health and beauty, gift cards, and more! I love using Paribus because I’m often super busy and don’t always have time or the inclination to scan receipts. With Paribus, I don’t even have to click through any links. I just shop like I normally would online, and Paribus tracks confirmation emails and watches for price changes. Paribus instantly scores you money back if the price drops on something you’ve bought from any of the 25+ major retailers that they partner with. If your shipment is late, Paribus negotiates on your behalf with the retailer and gets a reimbursement without you having to lift a finger. Think that once you finally book your hotel room, you’re locked into that price? Nope! Paribus also can help you save when you book hotels rooms. If they price drops on a room, they’ll find the drop and help you get the difference back. Paribus works with hotel rooms booked through: Expedia, Hotels.com, Hilton, Booking.com, Priceline, and Marriott. Most people know Swagbucks for getting paid to do surveys, watch videos, play games, and more. But did you know that Swagbucks offers cash back, just like Ebates and TopCashBack? Just by shopping through Swagbucks, you can earn cash back at over 1500 major retailers, including Amazon, Walmart, and Target. You’ll also get exclusive deals and coupons! Swagbucks payouts are done through Paypal or gift cards. Often times different gift cards will be discounted so you can stretch your points even further. Once you’ve hit your minimum you can request a payout at any time, and they usually take a day or so to show up in your email. While Shopkick isn’t exactly a cash back app, it’s worth mentioning. Shopkick is a rewards app that rewards you with “kicks” (or points) for shopping online or in-store. When in-store, you can use Shopkick to scan select products to earn kicks. Or, you can earn kicks just for making purchases. Online, you can visit their partner retailer websites and view offers or purchase items to get kicks. 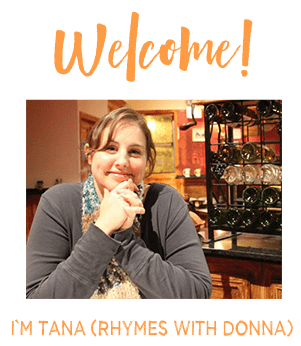 Walk into a store – without even purchasing anything! Cash your kicks out for digital gift cards to popular places, like Target, Amazon, Starbucks, and Groupon to name a few! Ibotta is a game changer for grocery shopping – and it’s so easy! Rebates are organized by store so they’re very easy to find. Just select the items you want to redeem, scan your receipt, and scan the barcodes on the items you bought as you’re prompted. You cash shows up within 48 hours (usually much, much faster!) and boom – you’re done! Ibotta also offers tons of great bonuses that change every month, which adds an extra bit of fun to the challenge of redeeming your rebates. As of the typing of this post, I’ve personally saved over $456 through Ibotta. There’s nothing easier than getting paid to upload receipts! Ibotta also allows your to link your loyalty card for certain retailers to redeem your rebates that way. No scanning involved! Recently they’ve branched out to include mobile in-app purchases, which makes a great app even better. With over 290 supported stores, it’s easy to rack up the savings. The Ibotta app pays out with Paypal, venmo, or gift cards. You can also earn bonuses as well as earn more by hooking up your Facebook so that you create a team of earners.Last, you can get a $5 referral fee for anyone that uses your referral link to sign up! If you’re looking for an Ibotta alternative, take Checkout 51 for a spin. With Checkout 51 you also scan receipts for money back, but it’s not limited to which store you shop at. The updated offer list comes out every Thursday. Just add your favorites to your shopping list, make your purchase, and scan your receipt. It’s as easy as that! Offers are available in limited quanities, so double check they’re still available before you hit the store and make sure to upload your receipt as soon as you’re done shopping. Checkout 51 has a $20 minimum, and pays out via check. Their claim to fame is that you won’t find any items that have high fructose corn syrup, artificial sweeteners, or chemicals. That’s definitely a win-win, right? Stack that with the coupons and deals available through the app, and you’re not only saving cash but helping your family stay healthy. BerryCart works at any store that gives you a printed receipt, meaning that it’s good for over 100,000 locations in the US. Payouts are through Paypal or select gift cards available through the app. Receipt Hog is another hugely popular cash back apps like Ibotta. However, the twist here is that you don’t have to buy certain items to get rebates. Instead, you shop anywhere, scan your receipt, and you’re given chances to play Hog Slots, take paid surveys, win free shopping trips, and more. Once you’ve earned enough coins, you trade them in for Amazon gift cards, magazines, or cash via Paypal. Another cash back app for receipts that I really like to use is SavingStar. This Ibotta competitor has very similar offers, but they’re redeemed a bit differently. First, you add stores to your account so you can redeem rebates there. If you have a loyalty card, you can link the store automatically and be able to skip the receipt scanning. if not, you’ll just scan the receipt like on other apps. Next, you’ll activate your offers, shop, and redeem your offers. Once you’ve hit the $20, threshold, you can select from Paypal, a bank deposit, gift cards, or choose to donate your earnings to American Forests. This grocery receipt cash back app can be used at over 100,000 stores in over 1000 different retails chains, so there’s bound to be a grocery store you can use it at. With Fetch Rewards, you can earn points with ANY grocery receipt. There’s no shopping at specific stores, clipping any coupons, or redeeming offers before shopping. Fetch Rewards matches items on your receipt and credits you for every item you buy from their list of 250+ participating brands. You then cash out your points to purchase gift cards from hundreds of retailers. Whether you shop at a local mom and pop store or a Sam’s Club, your printed receipt will be accepted up to 14 days after purchase. Also included are convience stores, club stores, drugstores, liquor stores, and of course, grocery stores. The Receipt Pal app is one of the few apps that let you just scan receipts for money back, making it one of the few apps like Receipt Hog. You don’t have to buy any particular products or shop at certain stores. Just scan those receipts to earn cash back. Simple, right? This app is unique in that it accepts any receipt – from gas stations, grocery stores, restaurants, car dealerships, online retailers, convenience stores, travel and entertainment, and more. The receipt must include the merchant name, purchase date, total amount spent and phone number or zip code of the store. That’s it! ReceiptPal also has weekly sweepstakes to give you a chance to win a cash bonus (cha-ching!). Your earned points can then be cashed out to purchase gift cards. Several mass merchandisers have created their own apps to help you save when you shop there. With the Target app, I’ve been able to save over $562 by stacking cartwheel offers, in-store digital coupons, sales, and my 5% redcard discount! Saving with the Target app is easy. As you shop, scan the barcodes of the products to see if there’s a discount or manufacturer coupon that applies. When you checkout, scan the barcode in the wallet section to apply your savings, and that’s it! The Target app also has additional coupons available in the wallet section, such as $10 off of a $50 food and beverage purchase. Plus, you can choose to store your redcard info in the app so that you just scan the barcode to pay. Walmart has replaced the Walmart Savings Catcher with Walmart Pay, but it essentially does the same thing. When you pay with Walmart Pay, your digital receipt is automatically checked for lower prices at competitors. If a lower price is found, you get the difference! That cash back difference is loaded onto an egift card, which can be used with – you guessed it – Walmart Pay. Acorns is a great app that rounds up your purchases and invests them for you. By setting up an IRA through Acorns, you can save for retirement without even thinking about it. Besides investing your spare change, you can also schedule reccuring investments so that you can grow your investments quicker. It’s an easy way to dip your toe into investing without too much stress over if you’re doing it “right”. As an added bonus, if you shop at any of Acorns’ 250+ retail partners, they’ll automatically invest in your Acorns account! Hopster provides unique coupons for natural products. The more you do on Hopster.com, the more points you earn. And the more points you earn, the more coupon savings you get. Not only can you print coupons on natural products, but you can also upload your receipts to earn points as well. Ever wanted to be a secret shopper? Now you can with the Mobee app! Start by finding a mission near you at popular stores and retailers. Next, answer questions once you’re at the location and submit it for review. You’ll earn points for every mission completed, which can be cashed in for gift cards and prizes. You can also unlock achievements to earn more points as well, helping you level up to earning those gift cards quicker. Earn additional points by referring friends as well, and cash them n for the gift cards to Dunkin’ Donut, Starbucks, Walmart, Best Buy, MasterCard prepaid gift cards, and more! My wallet used to be full of half-punched loyalty cards from a bunch of different restaurants and coffee shops that I loved. With Punchcard, you no longer have to carry these around and can still earn rewards. This app works at a ton of major retailers and restaurants, including: Target, Subway, Starbucks, Trader Joe’s, McDonald’s, CVS, 7-Eleven, Chili’s, Vons, Chipotle, Safeway, Best Buy, Banana Republic, Chevron, and more! Punch, spin and win points with every purchase, then use them to get gift cards, contest entries or give them away as a charitable donation. Some businesses that participate in Punchcard see that you’re a loyal customer and offer rewards, coupons, or offers directly to you as well! Whether you’re at the store or shopping from the comfort of your home, there’s an app or website to help you save money. While not every app fits everyone, make sure to give each one a try for at least a couple of weeks before you throw in the towel. You’ll be surprised at how much you can save with apps like Ibotta and Shopkick! 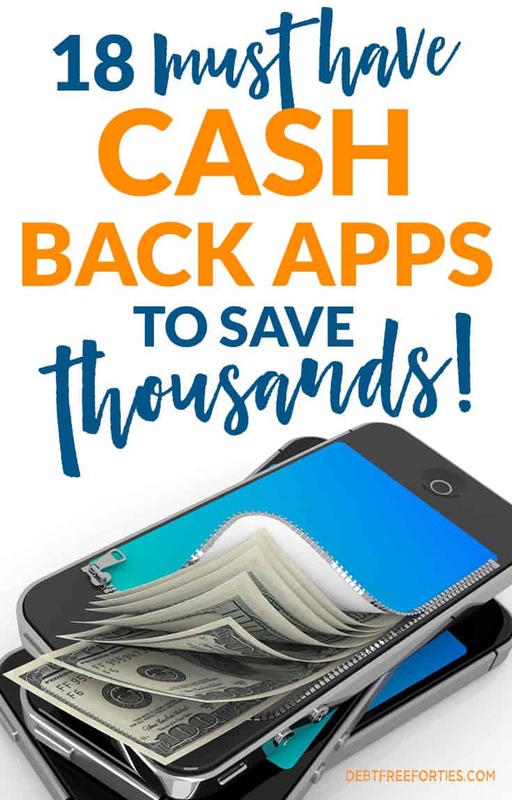 Have you used any of the cash back apps or rebate sites to help save cash? If so, let me know in the comments below! 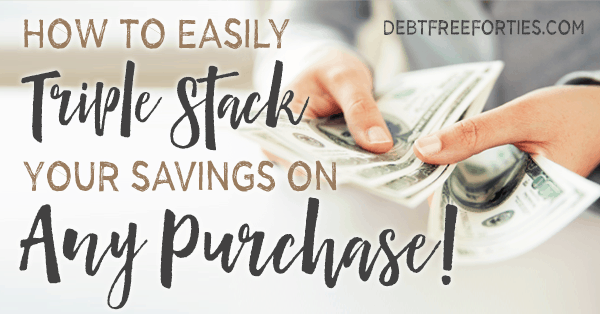 How to Easily Triple Stack your Savings on ANY Purchase! Dare to Conquer (formerly Billionaire Blog Club) Review: Is It Worth It?